Does your spouse/partner live with you? Yes. What is your primary job? Street hawker. What is your household’s total income - including your partner’s salary, and any additional same sources ? I don’t have any other income. My wife doesn’t work. How many people are living in your household - what is their relationship to you? Four - wife and two children. How many are dependent on you/your partner's income - what is their relationship to you? Four. How much do you spend on rent? Nothing. I own my own home. How much do you spend on educating your children each month? My children don’t go to school. I can’t afford it. After you have paid all your bills each month, how much is left? Nothing. Have you or any member of the household been forced to skip meals or reduce portion sizes in the last three months? We aren’t skipping meals yet, but we have reduced portion sizes. Have you been forced to borrow money (or food) in the last three months to cover basic household needs? In August, I borrowed $400. I can’t repay that loan and will likely need to borrow again. "Food prices continue rise every day. 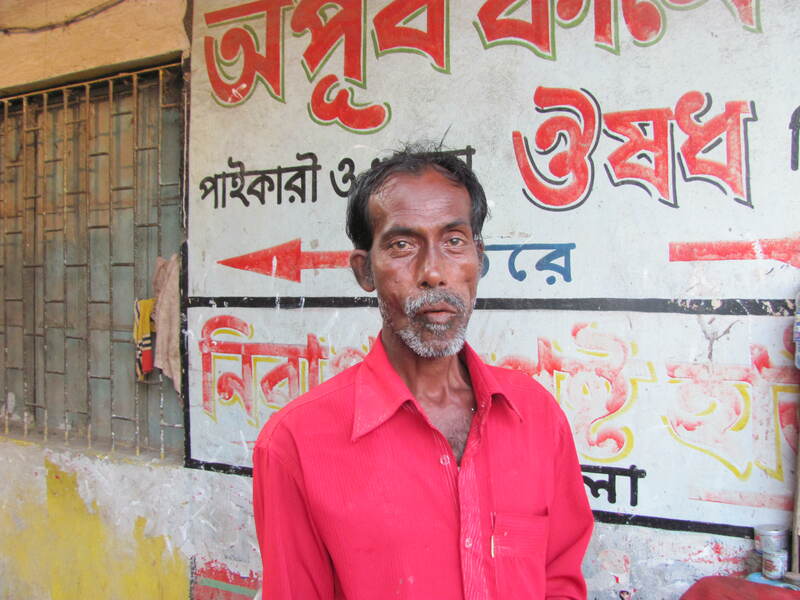 I’m afraid it’s only going to get worse if the political situation continues"
MYMENSING, June 2013 (IRIN) - Recent political instability in Bangladesh has worsened the plight of Samir Uddin, a 50-year-old street hawker, who was already struggling to get by. He lives with his wife and two children in the village of Charpara in Mymensing District, 120km north of the capital, Dhaka. His children do not go to school. “Because of the strikes, I can’t earn half the money I used to. When they occur, people simply don't leave their homes unless there is an emergency. And if people don’t go out in the street, how can I sell them anything?” he asked. He said that his income is decreasing, but expenses are increasing. “Food prices continue rise every day. I’m afraid it’s only going to get worse if the political situation continues,” he said. Efforts to secure another job over the last few months have also failed. Adding to his worries, he cannot repay a US$400 loan he took out earlier to pay for the family’s living expenses. “Each day, the money lender is calling for his money, but how can I pay him when I can’t even manage my day-to-day expenses? There is nothing left after I pay them so I will likely need to borrow again. “Either the government should control food prices or introduce a rationing system for the poor. Otherwise, we cannot survive,” he said.